"Transitive verb. To cease to feel resentment against an offender. To give up resentment of or claim to requital." Because it’s a verb, it is an action, or a choice. In this case, it is a transition from unforgiven to forgiven. It’s going from holding on to that resentment to giving it up. It’s choosing to say, “I no longer will hold this against you.” It is not saying I agree with what you did, or said, or caused. It’s just an heart attitude shift towards healing. Many years ago, I was in a very painful situation. 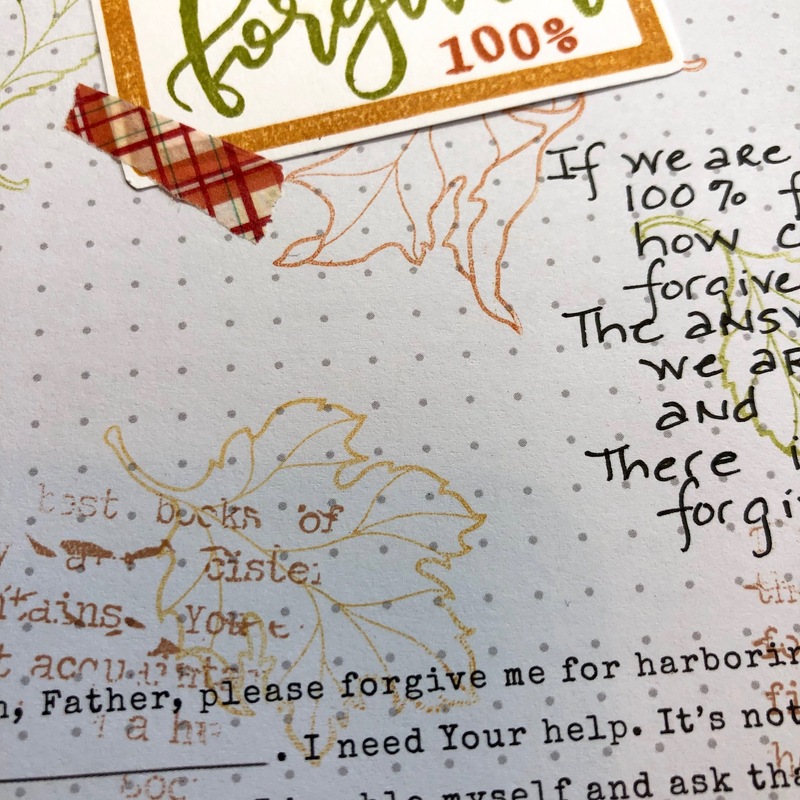 One where I wasn’t sure even how to forgive the other person. A very wise person shared with me that the same blood that covered all of my offenses covered the other person’s as well. We both were on equal ground...at the foot of the cross. Wow! What an eye opener for me. There was no offense worse than any other. Christ’s blood covered them all...equally. As I’m writing this, the song Reckless Love by Cory Asbury is playing. Those lyrics...Oh the overwhelming, never ending, reckless love of God!! That’s what His forgiveness is...it’s love. And He gave it freely. For me. For you. For the one who hurt me. For the one who hurt you. For those who are on equal ground with us at the foot of the cross. Choose to forgive. Christ did. We are celebrating our 11th Birthday here at Sweet ‘n Sassy Stamps, so we all chose done of our past favorites to feature. 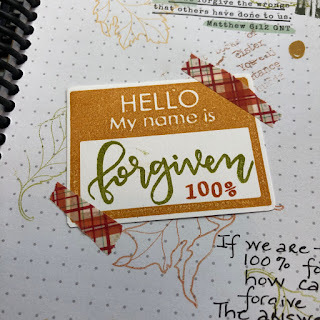 Hello My Name Is is what I used for the name tag on this page. 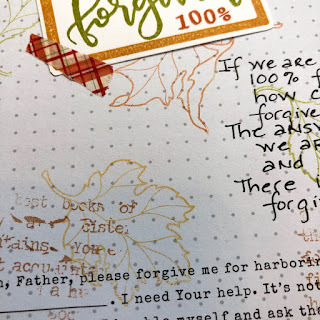 The background is done with Typewriter Text and Give Thanks. To achieve the subtle background, I inked the words and leaves, and stamped them once on another piece of paper. Then, without inking again, I stamped them directly on the page. 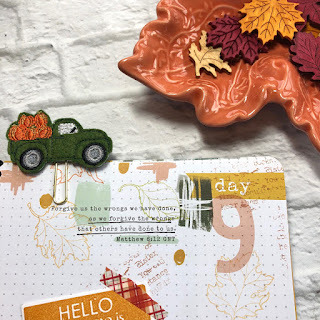 We are having LIVE demos on our Sweet ‘n Sassy Stamps retail page on Facebook, as well as specials each week through out the month of November. 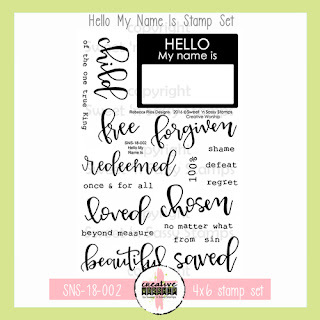 Be sure to be signed up for the Sweet 'n Sassy Stamps email newsletter to stay up to date on all the happenings! Grab a cup of warm cocoa, browse the store, and celebrate with us. 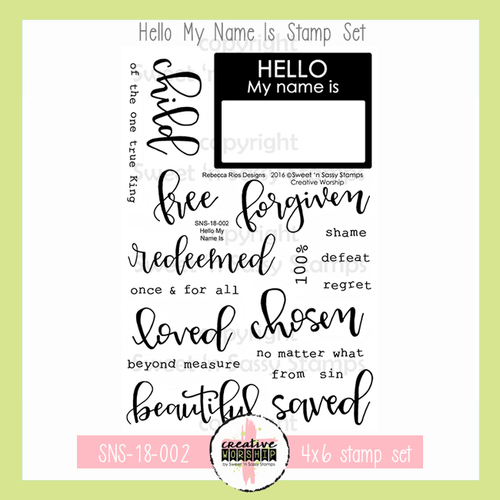 Editor's Note: This blog is being simultaneously published on the Creative Worship Blog of Sweet 'n Sassy Stamps. Gayle is a creative worship blogger located in Senatobia, Mississippi. Her three little blonde-haired blue-eyed grandsons call her Gigi, and her two grown daughters call her Mom. She loves to be surrounded by laughter, family and friends. 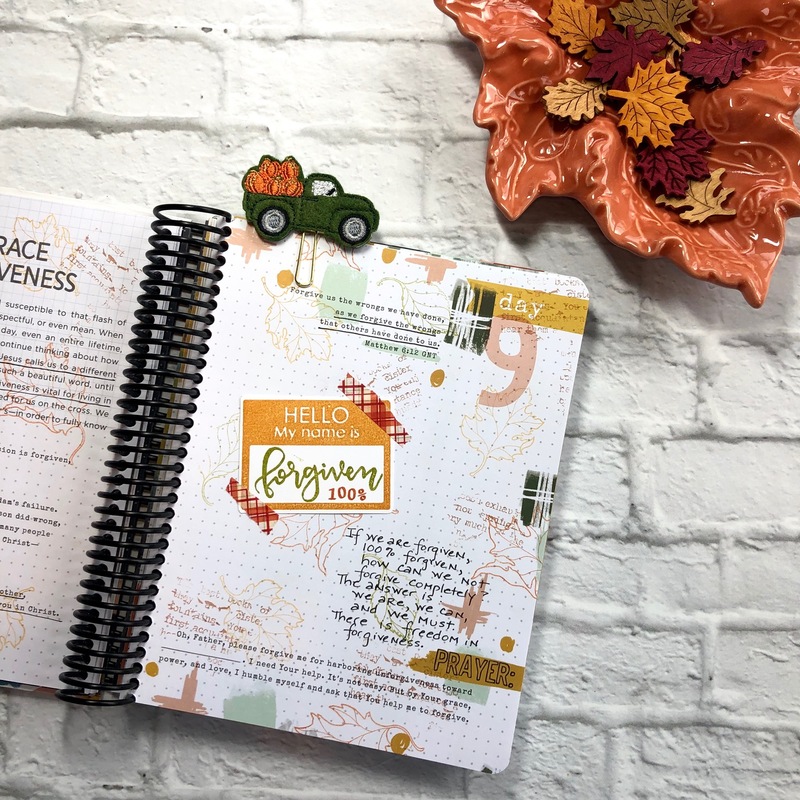 In her quiet time, when she isn't dancing on the patio with her love, she almost always is happily creating, coloring, and preparing to teach others about Jesus! Patio Ponderings 2016. Awesome Inc. theme. Powered by Blogger.